How about living in Arvika or coming for a visit - worth a thought? In fact we honestly feel that Arvika has something very special to offer! Here you can make your own special mark on life. Whether you come here as a tourist for the first or tenth time, as a temporary visitor, or you decide it's time to put down roots for good. Arvika is not just an exceptionally beautiful region with fantastic opportunities for outdoor life. It is a place where music flows and where the arts and crafts flourish. It is a place where industry thrives. It is a place with well-planned residential areas and easy access to social services. What's more the people here are an unusually congenial and happy breed, the jössehäringarna. 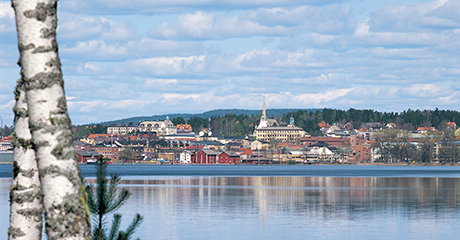 In Arvika, you will find a quality of life that other people only talk about. It is easy to feel at home and enjoy life here. Come and experience a very special part of Värmland and Sweden!